Gyeran jjim is a Korean dish made of eggs and is popularly eaten at breakfast or as a side dish in Korea. It is a light and easy meal to make and it can be eaten as a side dish at any time of the day. This is an healthy and wholesome way to eat eggs without the oiliness of frying. 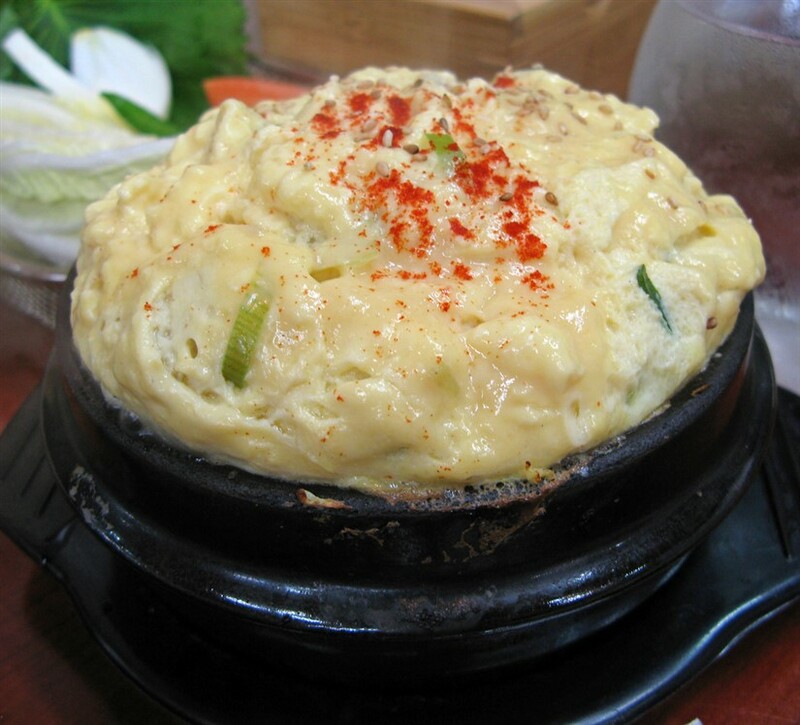 The eggs are whisked with water or broth until it reaches creamy consistency. Vegetables such as scallions, mushrooms, bell peppers may be added according to preference. Gochujaru and sesame seeds are usually added towards the end of cooking to add more flavour. The mixture is then poured into a ttukbaeki or placed in hot water and steamed over low heat. The egg when steamed properly will have a texture like tofu and is a perfect complement for rice and soy sauce. It can also be eaten alone.